PSM MP Dr.Jeyakumar ‘s reply denying HRP position on UMNO racism against the Indian poor. UK: excuses (by PKR,DAP,PAS,PSM, NGOs’ & Indian elite)to divert and dilute the real and critical Indian problems to get to play to the 90% Malay muslim,natives and Chinese vote bank?Or so as not to risk losing the 60% malay muslim voters?Playing to the majoritarian gallery? On March 19, Uthayakumar, the Advisor to the Human Rights Party, criticized me, Arutchelvan and the Parti Sosialis Malaysia for taking a “soft line” on “UMNO Racism” and thus serving to cover the oppression of Indians by UMNO. We, in the PSM, think that it is Uthayakumar who doesn’t understand the root causes of oppression of the Indian Poor in Malaysia, and that his ill-advised statements and actions actually make the situation worse for the Indian Poor. However, before going into the issue of root causes of Indian poverty, I would like to place on record that though I think his analysis is wrong, I recognize Uthayakumar’s courage to stand up and speak up for what he believes is true. He has not been silenced by ISA detention and has remained consistent in the past 12 years that I have known him. Quite clearly he is impervious to attempts by the BN to buy him over. Society needs men and women who are prepared to stand by their beliefs – but these beliefs must be based on a correct analysis, otherwise such individuals might actually do more harm!. UK:Thank you for the compliments and and we too have never doubted Dr Jayakumar’s struggle as being a lot more sincere than that of PKR,DAP or PAS’. I also wish to place on record that the Hindraf led uprising of November 2007 was a major factor leading to the March 8th Tsunami in the 2008 General Elections, and I too was a beneficiary of that wave of discontent against the BN. But that doesn’t mean that I will go along with Hindraf’s analysis if that is off the mark. UK: No wonder there was a tsunami if not an avalanche of reciprocating Parliamentary Emergency Motions, RM1.00 Minister’s pay cut motions,walking out of Parliament, strenuous Parliamentary questions, Public forums, public protests etc for the real and critical Indian problems by PKR,DAP,PAS and PSM MPs’. Also pin drop silence when 53 Hindraf activists were prosecuted early March 2011 for being members of Hindraf, a minority and human rights NGO and the 300 over Hindraf activists who were arrested on the 27th Febuary 2011 Hindraf Rally. Let alone for the Hindraf lawyers who were immediately thereafter detained under ISA for 25th November 2007 Hindraf Rally.Thank god in particular the Indian poor masses stood by us until the very end the very day of our release lest we would still be languishing in Kamunting Prison. (We will welcome the long list of the aforesaid PKR,DAP,PAS and PSM ‘deeds’ for our publication in full in this our website!Believe us, we have the space! )We also have not forgotten PSMs’ official written stand that the Hindraf rally was racist and telling the people not to attend.But they did not mind the fruits of the Hindraf rally though! 1. Hindraf/HRP believes that the main cause of the marginalization of poor Indians in Malaysia is the racial policies of the UMNO led government. The PSM agrees that there is racial discrimination against the non-Malays, and that this has to be changed. But in our assessment, racial discrimination contributes only about 30% to the socio-economic problems of the Indian Poor. About 70% is due to the Capitalist system that oppresses the poor of all races through low wages, inadequate housing, eviction of communities to make way for development, privatization of basic amenities, etc. UK: The broad based phrase non-malays has long been conveniently ‘used” by PKR,DAP, PAS, PSM,NGOs’ and the Indian elite to dilute and divert away from the far far more real and critical Indian poor problems socially engineered by UMNO racism as is reported on a day to day basis in our website www.humanrightspartymalaysia.com But which the aforesaid parties pretend does not exist.One cannot equate the Indian poor with the (non malay) especially Chinese poor which community are the economic giant that controls some 60% or so of the Malaysian economy and which in any event has 507 Chinese New Villages as their social safety net for the Chinese poor as opposed to the almost zero Indian villages for the Indian poor.There may be some temporary Indian Village names but which the racist UMNO has classified as ‘squatters” and is awaiting systematic eviction if not systematic “ethnic cleansing”.The poor Malay,Orang Asli,Iban,Kadazan etc all have thousands of their permanent ancestral villages and land as their social safety net which 99% of the Indian poor don’t have.So let us not pretend that the Indian poor equals a malay or non malay poor. We beg to differ.Capitalism is a convenient excuse not to fight UMNO racism that has socially engineered to preserve the 70% Indian poor and to create the future Indian poor.Socialism certainly includes championing the cause of the Indian poor and against UMNO racism. 2. 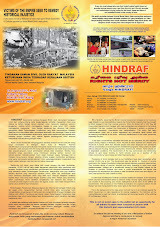 Hindraf/HRP believes that the best way to help the poor Indians is to mobilize all Indians to oppose UMNO. So Hindraf seizes on any issue it can that has the potential to make Indians angry with UMNO. UK:No,Hindraf rose to fill the almost full vaccum left vacant by the almost zero takers for the non “politically rewarding” Indian problems vis a vis to fight UMNO racism.Hindraf fought without fear or favour while PKR,DAP,PAS,PSM,NGOs’ and the Indian elite pretended that it did not exist and choose to play to the aforesaid majoritarian especially the Malay muslim political gallery.On the other hand MIC and almost all the other Indian NGOs’ merely played the UMNOs’ Indian mandore role via their scores of wayang kulit propaganda on a day to day basis which is reported on a day to day basis especially in the three Tamil dailies etc. The PSM believes that the way to help any poor community is to get down to the ground and mobilize them to fight for their rights. PSM also believes that in the longer rum, the only way to solve the problem of the Indian poor is by forming a multi-racial coalition of the poor from all ethnic groups to come together to demand a fairer share of the economic cake for all the rakyat. So the PSM tries to build solidarity among the poor of all races. UK:Yes we agree and are still waiting for the day it really happens. 3. Hindraf/HRP wants larger quotas for Indians – for scholarships, for university seats, for shares, contracts, for positions in local councils, etc. The PSM says that defining quotas by ethnicity will lead to a much larger share of the quotas going to middle class Indians and the rich Indians and very little to the poor Indians. Quotas must be defined strictly by socio-economic criteria and not by ethnicity. UK:No,Hindraf has never asked for higher quotas.We have always demanded for equal rights which is our constitutional right as is enshrined in Article 8 of the Federal Constitution.In fact our motto is “Rights not Mercy” and being up to the the sixth generation Malaysian born Indians we too are equally the sons of this soil as much as any other Malaysian. 4. Uthayakumar seems to argue that fighting for the rights of the poor in other races is a betrayal of the Indian poor as it takes our time and energy away from the Indian issues. UK:No.One betrays the cause of the Indian poor when one pretends that for every Indian poor there is a Chinese poor.And the Indian poor is equals the Malay muslim poor for which poor when it comes to higher education,business opportunities and government jobs in particular,the sky is the limit.This is definitely not the case for the Indian poor.Why/Why not?And why does one sidestep the gravity and seriousness of the Indian poor problems as equals to every other Malaysian poor problems.Why are we in a state of denial?In short intellectual dishonesty by diluting and diverting away from the real pressing and critical Indian poor problems created by especially UMNO racism is the betrayal of the true cause of the Indian poor. The PSM believes that our involvement in the just struggle of the non-Indian poor actually strengthens our capacity to fight for the rights of the Indian poor. In many of our pickets to prevent eviction, we draw multi-racial participation. If there are arrests of Indian settlers, within hours we can assemble a multiracial crowd in front of the Balai. Multi-racial solidarity of all the poor is the best tool to fight both class oppression and UMNO racism. UK:Yes.We are also still waiting for the day for this to happen. You can’t fight Malay racism with Indian racism! For this is exactly what UMNO wants – for it helps them consolidate their support among the Malay population. UK:Accusing one of fighting Malay racism with Indian racism is about the most convenient excuse used by especially the many liking to sound magnanimous “multi racial” Indian elite to sidestep the real and critical Indian problems which was first told to me some 20 years ago by the “multi racial” Indian elite.Thank god even as a young lawyer I did not fall into this “multi racial”Indian mindset trap.Today I analyze this to be arising out of Minority complex and Inferiority complex.For championing this cause of the Indian poor I was detained for 514 days under the ISA and on 11 other occasions and a charge of Sedition for alleging UMNOs’ “ethnic cleansing”especially with regards to the Kg Medan racial attacks targeting the Indian poor where 5 Indian poor were murdered and 100 over inflicted with grievous bodily injuries and carrying a three years jail sentence are still hanging over my head in the UMNO Courts.I have no regrets. (We have not forgotten that in this Kg Medan atrocities, the worst case of human rights violations in the history of Malaysia saw almost pin drop silence from the supposedly “multi racial” PKR,DAP,PAS,PSM,NGOs’ and the so called “multi racial “ Indian elite. 5. Uthayakumar believes that his strong criticism of UMNO and its racism is weakening it. The PSM believes that though Uthayakumar is sincere in opposing UMNO, his action and pronouncements which can be easily portrayed by UMNO as attacks against the Malay community, actually helps UMNO politically. Hindraf/HRP provides the perfect counter-foil to Perkasa! These then are the main points of difference between the PSM position and the Hindraf/HRP position on the causes of the “Indian Problem” and the way to overcome it. I think it will be good to continue the debate on this, but may I suggest, lets not descend to name calling and attributing bad intentions to the other side, so that we can focus on the key issues and get these clarified. We now treat this matter as closed as our real enemy is the racist and religious supremacist UMNO. Penulis mengajak pembaca menilai suatu isu besar yang berada di depan mata tetapi sering tidak dibincangkan secara terbuka. Saya amat menyampah apabila sesiapa sahaja merujuk warganegara Malaysia daripada kalangan kaum Cina, kaum India dan “lain-lain” sebagai “pendatang” dan “bangsa asing”. Ternyata kelompok yang menggunakan istilah berbentuk penghinaan itu tidak tahu membezakan antara “keturunan”, “kaum” dan “bangsa” serta tidak tahu sejarah dan asal-usul masyarakat pelbagai kaum di negara ini. Sepatutnya kelompok seperti itu ditahan mengikut Akta Keselamatan Dalam Negeri (ISA) kerana mampu menggugat keamanan dan keselamatan negara dengan membawa unsur-unsur ekstremis dan perkauman melampau. Saya biasa mendengar penggunaan istilah “bangsa asing” dan “pendatang”; misalnya apabila kelompok tertentu (termasuk Badut Paul Lathic, tentunya) berkata, “Bangsa asing dan pendatang perlu menghormati bla bla bla …” di mana istilah itu digunakan untuk merujuk kepada mana-mana warganegara Malaysia yang bukan “kaum Melayu”. Saya juga amat menyampah apabila kelompok tertentu bercakap mengenai penduduk di Sabah dan Sarawak bagaikan kedua-dua negeri itu bukan sebahagian daripada Malaysia! Sering juga saya mendengar orang berkata, “Bangsa asing dan pendatang pun sudah pandai bercakap Bahasa Malaysia” di mana “bangsa asing” dan “pendatang” bukan merujuk kepada bangsa asing (bukan warganegara Malaysia) dan pendatang asing tetapi merujuk kepada sesiapa sahaja yang bukan “kaum Melayu” walaupun mereka adalah warganegara Malaysia yang berjiwa Bangsa Malaysia. Saya berani mengatakan bahawa istilah “pendatang” dan “bangsa asing” digunakan ke atas warganegara Malaysia yang bukan “kaum Melayu” hanya oleh kelompok yang fanatik, penuh dengan kebencian, bersikap perkauman secara ekstrem serta menganggap dirinya sendiri adalah “pendatang” yang sedikit pun tidak berjiwa atau bersemangat Bangsa Malaysia. Maka, untuk menutup hakikat kelemahan dirinya itu, mulalah individu berkenaan melabel orang lain sebagai “pendatang” dan “bangsa asing”; tidak ubah seperti kelompok tertentu yang takut bayang-bayang sendiri dalam soal penggunaan istilah “Bahasa Malaysia” apabila merujuk kepada bahasa kebangsaan dan bahasa rasmi negara ini. Status itu mendapat beberapa reaksi daripada rakan-rakan. Masing-masing memberikan pandangan, komen dan kritikan untuk manfaat bersama. Sekurang-kurangnya, ada ruang dan peluang untuk mereka bersuara dan menyatakan pendirian berhubung topik yang sengaja dilabel pihak tertentu sebagai “sensitif” dan “menggugat keselamatan negara”. Pada tarikh yang sama juga, saya memutuskan untuk mengambil langkah wajar sebagai protes peribadi terhadap penghinaan yang dilakukan mana-mana pihak melalui penggunaan istilah “bangsa asing” dan “pendatang”. Dalam masa tidak sampai 24 jam, dua individu berbuat demikian. Terima kasih, Tuhan, kerana menyelamatkan saya daripada terus berkawan dengan puak ekstremis yang menggugat keamanan negara! Bayangkan! Walaupun negara merdeka pada 1957 dan Malaysia terbentuk pada 1963, desas-desus melibatkan “pendatang” terus kedengaran pada 1960-an, 1970-an, 1980-an dan 1990-an. Sejak kecil, saya juga sering mendengar kanak-kanak, remaja, orang dewasa dan warga emas mengatakan bahawa kaum Cina dan kaum India di negara ini tetap dilihat sebagai pendatang dan boleh “dihalau keluar pada bila-bila masa”. Tentu sahaja sebagai seorang kanak-kanak – dan kemudian remaja – perasaan saya terguris mendengar kata-kata yang menafikan hak dan kedudukan mana-mana warga Malaysia. Saya juga sedikit marah terhadap generasi terdahulu kaum Cina dan kaum India yang masih risau memikirkan kemungkinan mereka “dihalau keluar pada bila-bila masa” kerana kononnya mereka tetap dianggap “pendatang” walaupun mereka lahir, tinggal dan bakal meninggal dunia di sini. Bagi saya, citra kaum India di Malaysia adalah seperti watak Madhavi dan Vijay Kumar serta datuk mereka (Kumara Kurunadhar) yang saya paparkan dalam cerpen “Nayagi” (Menara 5, 1993). Keakraban generasi muda pelbagai kaum di Malaysia adalah seperti yang diwakili dua watak kanak-kanak dalam cerpen “Orang Pulau” (Siru Kambam, 1996). Peristiwa 13 Mei 1969 sepatutnya sudah menjadi satu pengajaran besar. Tentu sahaja tidak mungkin berlaku bencana seperti saya gambarkan dalam sebuah faksyen berjudul “Pulau Pendatang” yang sebelum ini disiarkan secara bersiri dan eksklusif menerusi blog saya mulai Ogos 2010. Dahulu, saya tidak faham mengapa ada kaum Cina dan kaum India yang masih “takut” sedangkan segala hak dan kedudukan mereka terjamin di bawah Perlembagaan Persekutuan, iaitu undang-undang tertinggi negara. Namun, nampaknya isu “pendatang” masih berlarutan pada Alaf Baru. Pelbagai cara licik dan tidak bermaruah digunakan pihak tertentu untuk terus mempersoalkan kesetiaan rakyat negara ini. Kreativiti dan inovasi ternyata dimanipulasi sepenuhnya dalam hal ini. Sekadar contoh, apabila kaum Cina dan kaum India kurang berminat menyertai angkatan tentera, dikatakan mereka tidak patriotik! Mujurlah majoriti Bumiputera Sabah dan Sarawak masih kekal di negeri masing-masing. Jika tidak, mereka juga berhadapan risiko dianggap “pendatang” berdasarkan acuan yang dijadikan ukuran untuk membezakan antara “rakyat” dan “pendatang”. Realiti yang menyedihkan di negara ini adalah bahawa sesiapa yang tidak termasuk dalam acuan budaya kaum tertentu dan/atau acuan agama tertentu secara automatik masih boleh dipertikaikan semangat patriotik mereka dan masih boleh dipanggil “pendatang”. Dan tindakan tidak bermaruah seperti itu dianggap tidak bertentangan Perlembagaan Persekutuan. Malah, jangan lupa bahawa sehingga 24 Mac 2011, kaum India yang dilabel menggunakan gelaran tertentu dalam novel Interlok edisi murid (DBP: 2010) dianggap tidak menjadi masalah. Di sisi lain, polemik mengenai konsep, makna dan agenda sebenar “Ketuanan Melayu” (sila bezakan dengan “Kedaulatan Melayu”) masih berlarutan dalam kalangan kaum Melayu di negara bertuah ini. Sesiapa sahaja tentu berhak mempertikaikan hasil penelitian rambang yang saya paparkan di sini bahawa kaum Cina dan kaum India di Malaysia masih dilabel sebagai “pendatang” dan ‘bangsa asing”. Pada masa sama, tentu sahaja mana-mana pihak yang mengakui kewujudan Tuhan tidak boleh menafikan realiti yang benar-benar wujud di depan mata berhubung perkara yang saya perkatakan. Kita tidak memerlukan WikiLeaks untuk membantu membuka mata kita untuk melihat gajah di depan mata!